The Canadian Bar Association is sounding the alarm over some of the more controversial measures included in the government’s citizenship bill, saying they are “likely unconstitutional," effectively contradicting the government's own assessment of the bill. The government proposed sweeping changes to the Citizenship Act in February when it introduced Bill C-24. The bar association said in a 30-page submission to the House's citizenship and immigration committee on Wednesday that it welcomes some of the new measures proposed in the bill, such as granting citizenship to so-called "lost Canadians," but it has “serious concerns” about other aspects. New eligibility requirements for becoming a citizen. Requiring that would-be citizens show an intent to reside in Canada. Expanding the grounds for revoking citizenship. “Our most significant concerns relate to the lack of flexibility by reducing residency to a physical residence test, requiring applicants to demonstrate intent to reside in Canada if granted citizenship, and the expansion of grounds to revoke citizenship,” the bar association said in its written submission. Under the proposed legislation, the government would have the power to strip Canadian citizenship from dual nationals "who were members of an armed force or an organized armed group engaged in armed conflict with Canada." Barbara Jackman, a member of the bar association's national immigration law section, testified before the citizenship and immigration committee on Wednesday. Jackman outlined the various problems with the revocation of citizenship, characterizing the proposed changes as "a huge step backwards." Under the current act, naturalized Canadians can have their citizenship revoked only if it was obtained through fraudulent means. Any citizen faced with losing their citizenship has the right to a full hearing before a Federal Court judge. The proposed changes raise "serious human rights concerns and may well contravene the charter," Jackman said, adding that she expects there will be "significant litigation." The bill proposes eliminating the right to a Federal Court hearing, in most but not all cases. In some instances, the immigration minister would make a decision without being required to hold a formal hearing. "To take citizenship away from someone is a fundamental change and to give it to a minister or politician to make that decision without any kind of fair process is simply wrong," Jackman said. Immigration Minister Chris Alexander appeared for an hour before the citizenship and immigration committee on Monday, and told MPs the proposals in the bill are constitutionally sound. "We believe that this bill is entirely in line with the requirements under the Constitution," Alexander said. NDP immigration critic Lysane Blanchette-Lamothe said on Monday she hoped the government would be open to amending the bill. 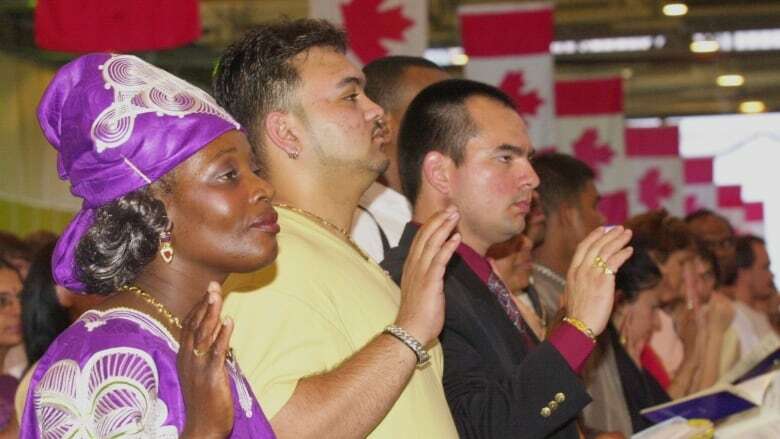 Liberal immigration critic John McCallum asked Alexander about the requirement to have would-be citizens show intent to reside in Canada when applying for citizenship. In a phone interview with CBC News on Wednesday, McCallum said Alexander appeared to say that requirement would only apply before one becomes a citizen but not after. "In that case, why have the requirement at all?" McCallum said. Chris Veeman, an executive member of the bar association's national immigration law section, also appeared before the committee on Wednesday. He told MPs that the bar association is of the view there should be a "full public debate" on the proposed legislation. Getting rid of the requirement for would-be citizens to declare their intent to reside in Canada if granted citizenship. Amending "the stringent" residency requirements for becoming a citizen. Eliminating the requirement that applicants be present 183 days during four of the six years before applying for citizenship. Scrapping the requirement to have applicants submit their tax returns for four of the six years prior to applying for citizenship. Eliminating the requirement for the knowledge test in one of the two official languages. MPs sitting on the committee also heard from half a dozen other witnesses on Wednesday. Immigration lawyer Richard Kurland, who appeared by videoconference, said the government was proposing "positive changes" to the Citizenship Act, but noted what he called a "design flaw" with a specific provision of the bill. Kurland, unlike the bar association, said he supports the proposed eligibility requirements for citizenship and the proposal to have applicants submit tax returns. However, Kurland said the law allows a person to defend themselves both in writing and in person, and that taking away the right to an oral hearing was a "flaw" in the bill. A written representation is "insufficient," Kurland said adding that the problem is "an easy fix." David Matas from B'nai Brith Canada described the overall bill as "a mix of both good and bad news."